Low Carbon Energy Assessors (LCEA) Ltd provide Commercial Energy Performances Certificates (EPC) for properties throughout Manchester. We also provide EPC+ Services, Display Energy Certificates, Air Conditioning CIBSE TM44 Inspections, Lead ESOS Assessors, Minimum Energy Efficiency Standards (MEES) Services, M&E Quantity Surveying Services and Commercial Contract Management Services for Commercial properties throughout the whole of Manchester. 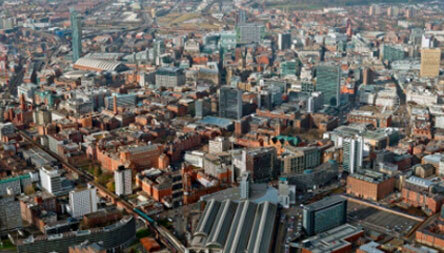 LCEA Ltd are have been involved with various projects throughout Manchester. We have also been involved with Offices, IT, Media, Construction Companies, Manufacturing, Factories, Warehouses, Distribution Centres, Aerospace, Defence, Engineering, ICT, Electronics, Financial Services, Retail, Media, University Buildings, Schools, Colleges, Doctors, Dentist practices, and Hospitals in Manchester.